We made the journey back to the U of O this month to present at the 20th annual HOPES (Eco-Design-Arts) conference. The event was also a reunion for those who helped start the conference and the organization that sustains it. 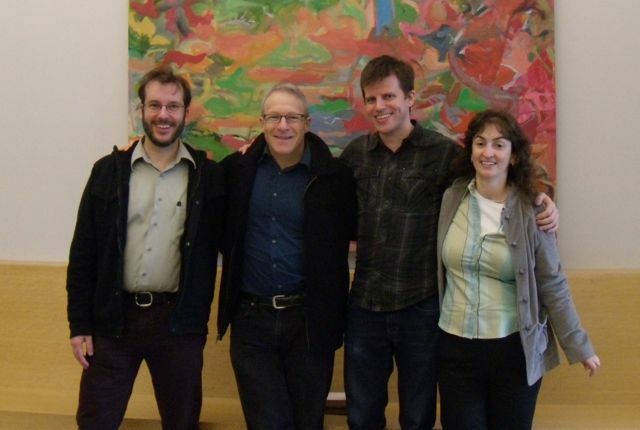 Pictured here is Matthew with some of his fellow Solar Information Center Directors (now called the Ecological Design Center): (From Left) Matthew Swett, Ross Leventhal, Ben Gates, and Sandra Leibowitz.